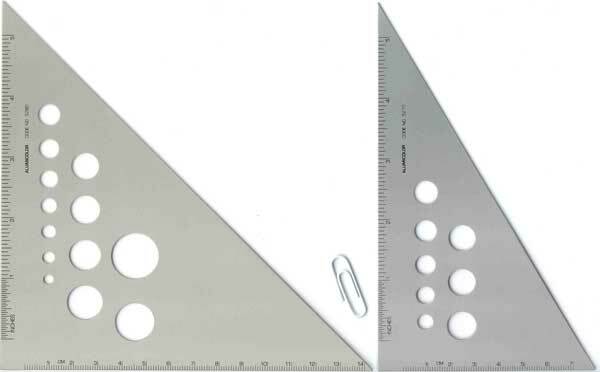 Alumicolor® Calibrated Triangles are made of tempered aluminum. 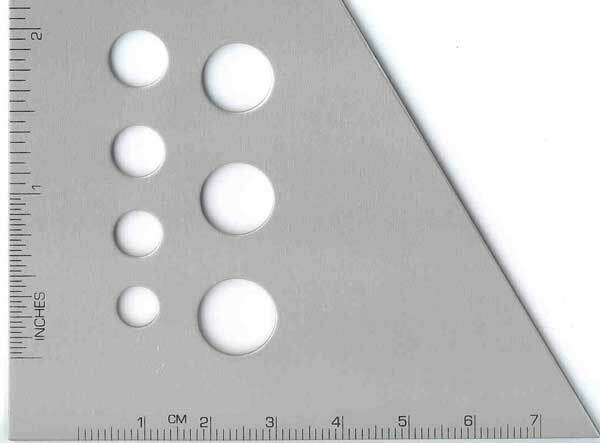 Photo anodized calibrations are a part of the finish and resist cleaning or rubbing off. Ultra smooth finish won't mark your work surface. 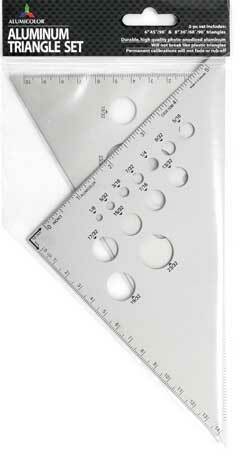 Available in 45/90 or 30/60-angles from 6" to 12" with calibrations in inches and centimeters. Now featuring calibrations on the holes! Our new triangle sets combine the most popular sizes of our triangles in convenient packs that are ideal for students and beginning draftsmen. Packaging: Poly-sleeve bag with plastic hang tag.